Prior to joining the Department of Art and Art History in 1988, Professor Dooley served as Assistant Curator of Exhibitions at Knight Gallery, Spirit Square Center for the Arts in Charlotte, North Carolina. He directs and curates a schedule of changing exhibitions for the Sarah Moody Gallery of Art which features internationally acclaimed artists such Gregory Amenoff, Ida Applebroog, Chakaia Booker, Mel Chin, William Christenberry, Cora Cohen, Jack Earl, Vernon Fisher, Cheryl Goldsleger, Jasper Johns, Lee Krasner, Sally Mann, Ed McGowin, Elizabeth Murray, John Newman, Robert Rauschenberg, Tony Scherman, Beverly Semmes, Fred Stonehouse, Carrie Mae Weems, Jil Weinstock and Thornton Willis. He presides over the gallery’s Permanent Collection that contains about 1,000 pieces devoted to Modern and Contemporary Art. Dooley teaches in the media area of Drawing. He also offers an advanced undergraduate course on art museum practices. 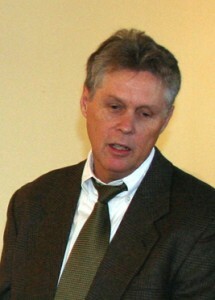 He served as the department chair from 1998 to 2008). His own artwork has been included in numerous regional and national juried exhibitions. 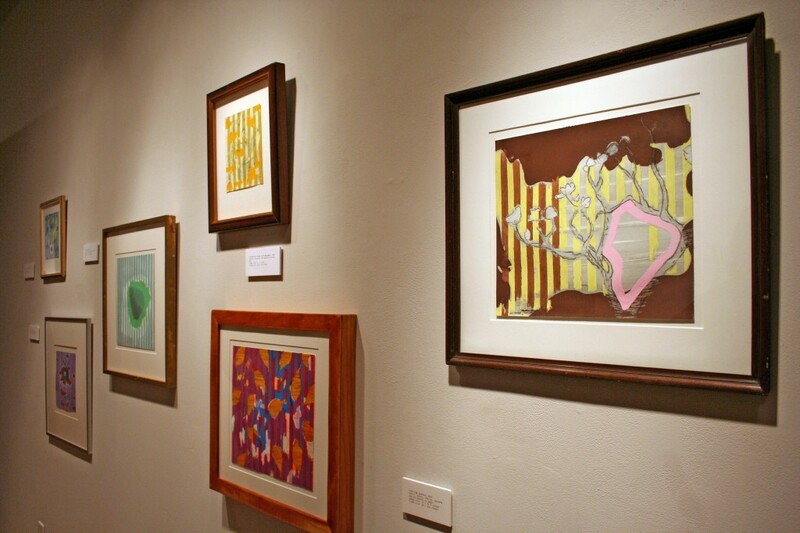 His drawings and paintings have been curated into group exhibitions and several solo exhibits. His dedication to community outreach includes his contribution of expertise for exhibits and collections management for the Rural Studio, an architectural design/build program affiliated with Auburn University and active in the Black Belt region of Alabama since 1993. 44th Annual Bi-State Art Competition, Meridian Museum of Art, Meridian, Miss. Wiregrass Biennial Regional Juried Exhibition, Wiregrass Museum of Art, Dothan, Ala.
Art of the State, juried exhibition, Tennessee Valley Museum of Art, Tuscumbia, Ala.
Two Pocketfuls: Selected Works by Bryce Speed and William T. Dooley, Gadsden Art Museum, Gadsden, Ala.
28th Northern National Art Competition, Nicolet College Art Gallery, Rhinelander, Wis.
A Sense of Place National Juried Exhibition, Gertrude Herbert Art Institute, Augusta, Ga.
42nd Annual Bi-State Art Juried Competition, Meridian Museum of Art, Meridian, Miss. 41st Montgomery Art Guild Museum Exhibition, Montgomery Museum of Fine Arts, Ala.
Louisiana Biennial: National Juried Exhibition, School of Design, Louisiana Tech University, Ruston, La. 52nd Masur Juried Competition, Masur Museum, Monroe, La. Laurie Simmons: Two Boys and The Love Doll, organized by Contemporary Art Museum, St. Louis, Mo. Russ Warren: Works 1971 – 2015, organized with Les Yeux du Monde, Charlottesville, Va.
Ansel Adams: Portfolios I and II (from the SMGA Permanent Collection), Montgomery Museum of Fine Arts, Montgomery, Ala.
William and Sara Hall Collection: Contemporary Prints Selections, University Art Gallery. (from the SMGA Permanent Collection), Dinah Washington Cultural Arts Center, Tuscaloosa, Ala.
“Alvin C. Sella – A Legend in the World of Alabama Art,” AlabamaArts, 2009, State Arts Awards issue, vol. XXIII, no. 1, pp. 24-28. William Dooley: Drawings on Clairmont Avenue, (solo), Birmingham, Ala.
Dreaming Local Over and Under: Recent works by William T. Dooley, (solo), Ferguson Center Gallery, Tuscaloosa, Ala.